It was against the backdrop of the drama of a passing storm playing out in the rapidly changing light of the morning, that I found myself standing on a sandbar four nautical miles out into the Singapore Strait. The view from a sandbar in the light of the storm coloured morning. A rainbow appears as the weather clears. Walking where few now tread. The scene revealed by the transformation of night into day in the darkness and light of the storm coloured morning was one that did seem rather surreal, disfigured by the craggy interventions of the natural world juxtaposed against the human interventions that now dominate Singapore’s nearshore. Juxtapositions of the natural world against the human world. 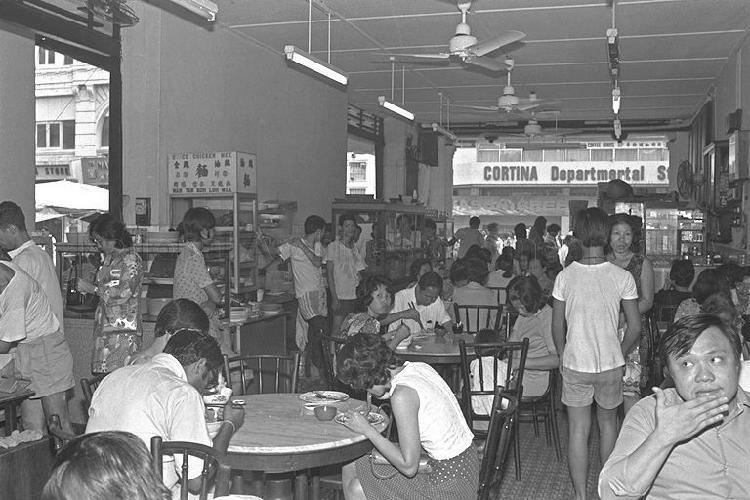 A natural spotlight on the interventions of men that now dominate Singapore’s nearshore. It wasn’t quite what I had intended in interrupting that much needed weekend’s slumber. The excursion was one to have a feel for the patch reef, Terumbu Pempang Laut, to which the sandbar was a part of, as well as the island to its south, Pulau Sudong, regular visitors from which it would once have hosted. The changing hues in the early hours of the day as seen from the boat that left at 6am. A northward view across the reef. The expanded Pulau Sudong, as seen from Terumbu Pempang Laut. It was as close as one could get to Pulau Sudong, now part of a restricted military zone. The island, once itself not much more than perhaps a spit of sand that was part of the surrounding reefs, had been one of several islands off Singapore’s south-western shoreline on which stilted villages of the sea had decorated. 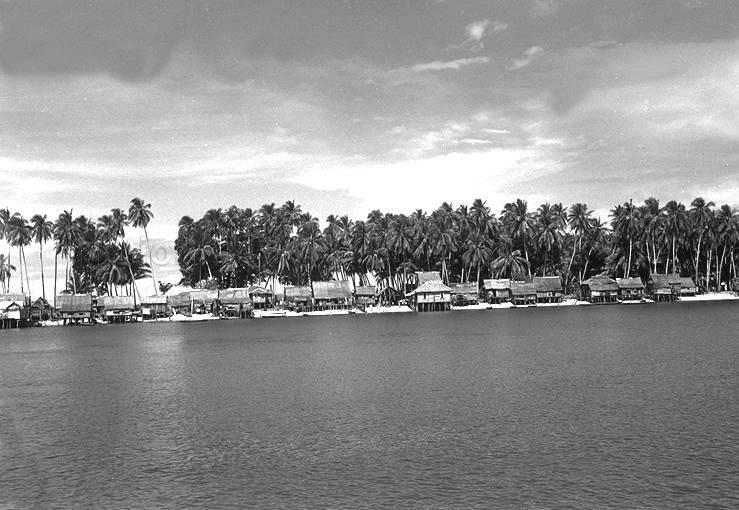 Pulau Sudong in the 1950s (source: National Archives of Singapore Online). The dwellings on stilts arranged around the island’s foreshore, had been on that had evolved from buoyant mobile dwellings of those, the sea nomads from the pre-Raffles era, who the occupants had inherited the seas from. Living on the sea, the nomads and their descendants also lived off it; the waters and the reefs around the island, contributing much to their livelihoods. Even without there being a source of fresh water, the island at its height, supported a community of several hundred and boasted of schools (there apparently were two in the 1940s), a clinic, a community centre and a police post. The reefs, teeming with marine life and exposed as the tide receded, was where life on the islands might have often extended to. Men would be seen laying their bubu, traps made by the fishermen themselves out of strips of bamboo, weighing them down with corals that the reef did provide. The womenfolk also found their way to the reefs, seeking a harvest of both edible produce of the sea and items such as corals that could be sold. Corals were harvested by the women of Pulau Sudong. Groups of women row their kolek to different parts of the exposed portions of the reef to gather sea produce. In the past, this activity was performed with considerable gaiety, seeming to be an enjoyable activity. Everyone carried a basket and unmarried girls wore bunga raya (hibiscus flower) in their hair. In teams of threes or fours, usually to form a line, they combed the reef for agar-agar (an edible seaweed), gulong, the trepang and a variety of beche-de-mer. When both the tide and sun were low, the gather chatter of the women at work would drift into the village where the men, excluded from the offshore merriment, conversed beneath their favourite pondok. The reefs see a different merriment today. The chatter of women gathering in the harvest is now replaced by the excitement of sea birds seeking a harvest of their own. Human chatter is now heard on occasion, of those who seek only to harvest what the reef can tell them – as an part of a continuous marine survey that the tireless Ria Tan of the Wild Shores of Singapore champions. The merriment the reefs see today are those of the sea birds seeking their harvest from the sea. It was with the group that I ventured out to the sandbar. Of the finds of the morning’s harvest, the one that did perhaps trigger the greatest excitement was a sighting of a small giant fluted clam. This find, along with what else the reef did reveal, is described by Ria in Terumbu Pempang Laut check up in her blog, which is a glorious celebration of life on our shores. The giant clam that raised the level of excitement. One thing that Ria does point out in her post that did get my attention, is that life around the shores of the reefs and the islands might to come to an end. The reefs, along with the cluster that it belongs to which also includes Terumbu Pempang Tengah to its immediate east and Terumbu Pempang Darat, face an uncertain future. The Land Use Plan, released to support the less than popularly received Population White Paper in early 2013, does show that the area is one where future land reclamation work could take place. Possible future reclamation poses a threat to the future of the reefs and the islands (source: Land Use Plan 2013). If that does happen, the reefs will be incorporated into part of a land mass that will include the Bukom cluster of islands and the Hantu twins, leaving the only ghosts haunting our southern shores (hantu translates into “ghost” in Malay) – there was also another Pulau Hantu that has since been renamed as Keppel Island, that of lost islands and reefs, and of a people and a way-of-life that will never again be seen. The future of many of the southern islands as individual islands, such as Pulau Jong (seen here with Pulau Sebarok), are also under threat from the Land Use Plan. Life on Pulau Sudong, one of the last of the Southern Islands to host a resident population, did itself come to an abrupt end in early 1980. By then, reclamation that added some 174 ha. 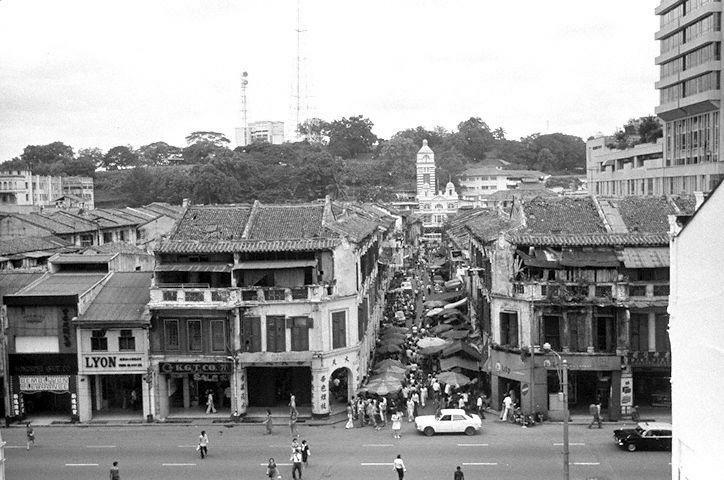 to its area, had already decimated the once rich fishing grounds that surrounded it, prompting a move for many in the late 1970s to seek a new beginning in Tanah Besar as the mainland was referred to, completing an assimilation into the Malay world. Initially intended as a recreational island, Pulau Sudong was closed to the public in mid-1982. Used since as part of an air force live-firing area that also includes Pulau Pawai and Pulau Senang to its south, what ghosts it may have inherited from its long discarded past, may also have abandoned it. Reflections off a lagoon at low tide.